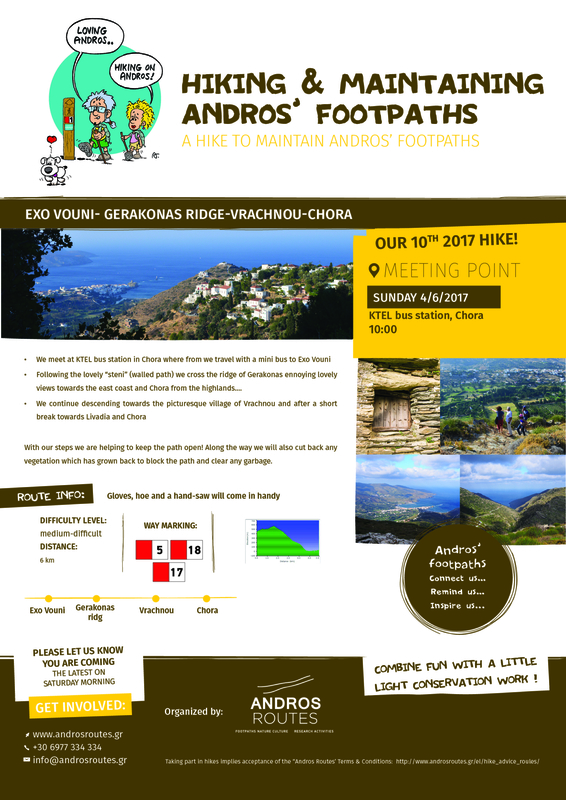 Following the lovely “steni” (walled path) we cross the ridge of Gerakonas ennoying lovely views towards the east coast and Chora from the highlands…. Combine fun with a little light conservation work ! Gloves, hoe and a hand-saw will come in handy. From Apikia to the forest of Evrouses & Strapouries mill village ! –... Join us at a lovely, cool, short hike at Paleopolis… !